Through April 21 – “Sense and Sensibility” at the Drayton Hall Theatre. This whimsical modern retelling of Jane Austen’s book tells of the Dashwood sisters whose world falls apart when their father dies taking with him their wealth, social standing, and a chance for marriage. For more information 777-2551 or visit http://www.sc.edu/study/colleges_schools/artsandsciences/theatre_and_dance/theatre/about/theatre_news/2018/senseandsensibility.php. Through April 22 – “Miss Nelson Has A Field Day” at the Columbia Children’s Theatre at Richland Fashion Mall. The children have been practicing for weeks, so come out and support their tremendous efforts to put on a great show for you! For more information call (803) 691-4548 or visit http://www.columbiachildrenstheatre.com/season-at-a-glance/. April 18 – 21 – “All Or Nothing At All: An Evening With Columbia Rat Pack” at Workshop Theatre. Reuniting for the first time in 10 years, Kevin Bush, Terrance Henderson, Jonathan Jackson, & Jason Stokes are set to provide you with an evening of entertainment. For more information call (803) 799-6551 or visit https://www.workshoptheatre.com/shows.html#season. April 19 & 21 – Artista Vista in the Vista area of downtown Columbia. One of the areas favorite annual events, come out for a fun spring evening filled with great food and beverages, lots of art, and on Saturday you’ll also enjoy great live music and other entertainment throughout the Vista! For more information visit https://www.vistacolumbia.com/events/artista-vista-2018. April 20 – “Abbey Road: A Beatles Tribute Band – Performing Abbey Road” at the Music Farm. For all the Beatles fans out there, come sing and dance along with the Beatles favorite album! For more information visit http://musicfarm.com/event/abbey-road-live-performs-abbey-road/. April 20 – 29 – “Annie” at the Village Square Theatre. The Broadway production based on the comic strip of the same name won seven Tony Awards for Best Musical, and our local talent has come together to create a show you are certain to enjoy! For more information call (803) 359-1436 or visit http://www.villagesquaretheatre.com/index.html. April 21 – Patriot Paddle for PTSD at the Lake Murray Landing on the Irmo side. This program aims to raise enough money so that our first responders don’t have to spend a time to use any type of paddle sport as a way to relax and help relieve the symptoms of PTSD so come out and support this great event! For more information call (803) 546-9710 or visit http://www.lexingtonsc.org/community-event/patriot-paddle-for-ptsd. April 21 – The Hidden Gala at the Columbia Museum of Art. This black tie event in support of our great Museum of Art and the current renovations taking place while enjoying wonderful food, beverages, and entertainment! For more information call (803) 799-2810 or visit https://www.columbiamuseum.org/cma-gala. April 21 – “Broadway Under the Covers – Songs Guaranteed NOT To Put You To Sleep” at the Town Theatre. Hear some great Broadway tunes by some of your favorite Town Theatre performers with a pre-show reception. ** If you are interested in your children attending some of their summer camps, be sure to check out their website as registration has already begun! ** For more information call (803) 799-2510 or visit http://towntheatre.com/special-events/. April 21 – “Cardinal Newman Live!” at the Music Farm. This night of music will benefit Cardinal Newman High School. For more information visit http://musicfarm.com/event/cardinal-newman-live-night-music-benefit-cardinal-newman-school/. April 21 – Heart & Sole Women’s 5 Miler at Finlay Park. This all women’s walk/run event is to raise awareness of the seriousness of heart disease in women with everyone to get a rose at the finish line. For more information call (803) 731-2100 or visit http://www.heartandsolerun.com/. April 22 – “King Nothing” at the Icehouse Amphitheater. Enjoy an afternoon of rock and roll with this Metallica tribute band! For more information call (803) 358-7275 or visit http://icehouseamphitheater.com/events/. April 25 – “Deadrider” and “Autocorrect” at the Infinite Room of the Tapp’s Art Center. Enjoy an evening of music like you’ve never heard before! For more information call (803) 988-0013 or visit https://www.tappsartscenter.com/event/infinite-room-presents-dead-rider-and-autocorrect/. 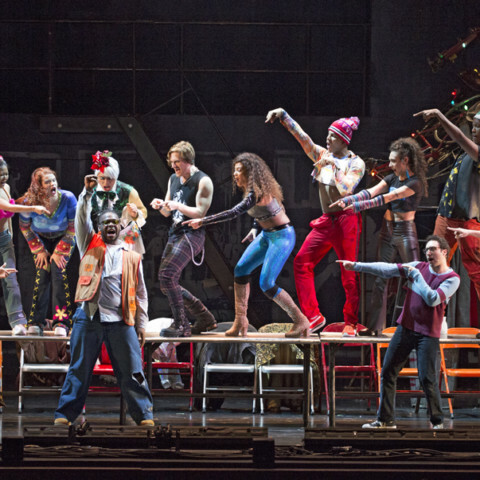 April 25 – 26 – Broadway in Columbia presents “Rent” at the Koger Center for the Arts. This is the 20th anniversary tour of the Pulitzer Prize and Tony Award winning rock and roll masterpiece composed by Jonathan Larson so don’t miss out on this high energy show. For more information call (803) 777-7500 or visit http://www.kogercenterforthearts.com/event.php?id=508. April 26 – “Finesse” at the Icehouse Amphitheater. Fill your evening with music, food, beverages, kids activities, and a chance to enjoy a spring evening out! For more information call (803) 358-7275 or visit http://icehouseamphitheater.com/events/. April 26 – Sweet and Savory Chef’s Competition at the South Carolina State Museum. Ten of the area’s best chef’s will come together to compete to see who creates the best dishes as well as tastings with spirits made by Charleston Distillery, with proceeds to benefit the homeless teens and children who have been abused or neglected that find themselves placed at the Palmetto Children’s Shelter. For more information visit https://www.palmettoplaceshelter.org/events/sweet-savory. April 26 – Game and Garden Spring Feast at Hay Hill on Bluff Road. You’ll enjoy heavy hors d’oeuvres created by local chefs, craft brews, cocktails, and the chance to bid on silent auction art, with live entertainment provided by Over the Mantel and The Mustache Brothers with proceeds to benefit the Congaree Land Trust. For more information visit https://www.eventbrite.com/e/game-and-garden-spring-feast-tickets-42358786270. April 26 – “Modern Composers” at the Chapin United Methodist Church in Chapin. This concert presented by the Dutch Fork Choral Society with guest choir from the MidCarolina High School will benefit Chapin’s We Care Center, so nonperishable items are also being accepted. For more information call (803) 318-0488 or visit http://www.dutchforkchoralsociety.com/. April 26 – 28 – South Carolina Round and Square Dance Convention at the Columbia Metropolitan Convention Center. Not only will there be dancing, there will be a fashion show, workshops, a sewing clinic, and even a Parade of Clubs so come out for some great dancing fun! For more information call (803) 743-5826 or (843) 334-8357 or visit http://www.scsquaredance.com/stateconven.html. April 26 – May 6 – “Matching Up Mabel” at the Firehouse Theatre in Chapin. Fill your evening with comedy when the girls from “Heck the Dolls” return to show you what to do when your mother-in-law moves in! For more information call (803) 240-8544 or visit http://www.chapintheatre.org/2018/matching-up-mabel.html. April 27 – “Corey Smith” with “Wilson Brothers Band” at the Music Farm. One of the areas favorite artists is back to present another great show so don’t miss out! For more information visit http://musicfarm.com/event/crown-royal-presents-corey-smith/. April 27 – 28 – Dance Student Choreography Showcase at Drayton Hall Theatre. Come out and support the hard work of the talented dance students as they perform their masterpieces on stage! For more information visit http://sc.edu/study/colleges_schools/artsandsciences/theatre_and_dance/calendar/dance/index.php?trumbaEmbed=view%3devent%26eventid%3d266932690. April 27 – 29 – Sparkleberry Country Fair at the Clemson Sandhills Research & educational Center in Northeast Columbia. Be sure to plan your schedule so you can come out and enjoy some great spring weather and good ole’ country fun with fun activities for the entire family to include old-timey country activities such as the chance to milk a cow, enjoy amusement rides and live entertainment, play games, eat good food, and enjoy some family time together! For more information visit www.sparkleberrycountryfair.org. April 27 – May 6 – “A Raisin In The Sun” at Cottingham Theatre of Columbia College. This Workshop Theatre production written by the first African American female producer on Broadway is set on the South Side of Chicago with the plot set around three generations of one family and the dreams and conflicts that combine when the husband dies and the tensions that arise over his life insurance money and the hostilities they face when they try to move to an upscale white neighborhood. For more information call (803) 799-6551 or visit https://www.workshoptheatre.com/raisin-in-the-sun.html. April 27 – May 6 – “Gilligan’s Island The Musical” at the On Stage Performance Center. Everyone loves this famous comedy show, so you are sure to enjoy this wonderfully entertaining production. For more information call (803) 351-6751 or visit http://www.onstagesc.com/index.html. April 28 – “Satisfaction” at the Icehouse Amphitheater. This is a Rolling Stones Tribute Band, joined by singer/songwriter Brent Lundy, so come out for what is sure to be a fun evening of songs every generation will enjoy! For more information call (803) 358-7275 or visit http://icehouseamphitheater.com/events/. April 28 – “Pictures At An Exhibition” Season Finale by the South Carolina Philharmonic at the Koger Center for the Arts. It’s the final show for this season, so come out and enjoy one last show of great chamber music by our tremendously talented Philharmonic! For more information call (803) 777-7500 or visit http://www.kogercenterforthearts.com/event.php?id=468. April 28 – Back to the Roots Festival at City Roots. It’s their 10th growing season, so they’re celebrating with hands on learning experiences, great music, as well as food and drinks, so check out the website for details on this fun event as the learning experiences are too extensive to mention! For more information call (803) 254-2302 or visit http://www.cityroots.org/events-calendar/2018/4/28/back-to-the-roots-festival. April 28 – Tapp’s Invitational Mini-Golf Tournament at Frankie’s Fun Park. Help support the great things Tapp’s Art Center does for our community by participating in an 18-hole artist designed course, with loads of fun, snacks, and the chance to BYOB! For more information call (803) 988-0013 or visit https://www.tappsartscenter.com/event/tapps-mini-golf-invitational-fundraiser/. April 28 – Food Truck and Craft Beer Festival at the South Carolina State Fairgrounds. With over 25 food trucks and a multitude of craft beers, as well as live entertainment, this is one event you won’t want to miss! For more information visit http://foodtruckfestivalsofamerica.com/south-carolina/. April 28 – Spring Into Sesqui 5K at Sesquicentennial State Park. Open to anyone who wants to get out and enjoy the spring weather all while enjoying one of the areas greatest gems! For more information call (803) 788-2706 or visit https://southcarolinaparks.com/products/10004740. April 28 – Walk MS at Riverfront Park. MS impacts thousands of people around our State every year, so join up to help raise money and awareness of this horrible disease with a 1 mile and a 3 mile walk you can make with your friends and/or family members. For more information visit http://main.nationalmssociety.org/site/TR/Walk/NCTWalkEvents?pg=entry&fr_id=29781. April 28 – 4-Legged 4K at 2801 Devine Street. This event for pets and their owners is a walk/run that included puppy prizes and a post-race pool party, with all proceeds to benefit Homeward Bound Pet Rescue. For more information call (803) 509-5848 or visit https://www.4legged4kcsa.com/. April 28 – Wave Fest at the Martin Luther King Jr. Park. This event sponsored by Federation of Families is in recognition of Children’s Mental Health Awareness week and will include free food, kids activities, live entertainment and health screenings, as well as available representatives to help connect families with mental health and substance abuse resources. For more information call (866) 779-0402 or visit https://fedfamsc.org/event/colawavefest/. April 28 – Strides for Autism at Irmo Community Park. This event is to raise funding and awareness about this disorder that impacts 1 in every 100 children born to help with individual and family support, education, advocacy, and training. For more information call (864) 750-6988 or visit http://scautism.org/strides/. April 28 – Lower Richland Sweet Potato Fest at Hopkins Park in Hopkins. Come out and enjoy some great entertainment with hilarious comedy artist Akintude, dance by the Kenya Safari Acrobats, DJ B Redd, and a dozen musical artists and groups, as well as lots of food, arts and craft vendors, a parade, and a sweet potato pie contest. For more information visit https://lowerrichlandsweetpotatofest.com/. April 28 – Girls on the Run Columbia 5K at the Historic Columbia Speedway. Girls enrolled in a Girls on the Run group (these are girls in 3rd to 8th grade who participate in a 10 week positive research based curricula to promote health and wellness) with the support of their coaches, as well as any other girls interested in participating in the run will enjoy a day not only of running, but also of fun and fellowship! For more information visit https://www.gotrcolumbia.org/5K-Detail#show-event-details. April 28 – Kids Day of Lexington at the Virginia Hylton Park in Lexington. Kids and their parents will enjoy a day filled with fun to help promote family togetherness through education, love, honesty, and laughter! For more information call (803) 356-8554 or visit http://www.lexingtonkidsday.com/. April 29 – River Runner’s Demo Day at Dreher Island State Park. Enjoy a spring day on the water trying out a variety of items brought for your entertainment by River Runner, so if you’ve never tried kayaking, canoeing or paddle boarding before, come out and give it a try as you’ll be glad you did! For more information visit https://www.facebook.com/river.runner.547/?rf=117109555014840. April 29 – Lake Murray Symphony Orchestra presents “Concertos and Cupcakes” at the Harbison Theatre. If you like free events, then plan to spend a Sunday afternoon enjoying a great show followed by a reception featuring winners of the LMSO 2018 Young Artists Competition. For more information call (803) 407-5011 or visit https://www.harbisontheatre.org/tickets-productions/lake-murray-symphony-orchestra-presents-concertos-and-cupcakes-0. April 30 – “Slam” at the Nickelodeon Theater. When a local poet from a Washington DJ housing project who entertains the children and writes poetry for his friends is sent to prison for trumped up drug charges, he uses poetry to survive when he meets a writing teacher who supports his art and encourages him in his pursuits and then invites him when he is released to participate in her circle of spoken word artists and encourages him to participate in an on stage poetry slam! For more information call (803) 254-8234 or visit http://nickelodeon.org/films/slam/. May 1 – “Black Panthers ‘68” at the Nickelodeon Theater. In commemoration of 50 years come out and enjoy the screening and participate in discussion about the Black Panther Party and the work they did to create equal access to housing, education, legal, health, and even breakfast programs; the group being viewed as a National Security threat by the FBI and all that ensured that created a spring board for current day activism. For more information call (803) 254-8234 or visit http://nickelodeon.org/films/black-panthers-68/. May 3 – “The Tams” at the Icehouse Amphitheater. For those who love Beach music, this is a night you’ll want to grab your dancing partner and enjoy an evening of dancing under the stars! For more information call (803) 358-7275 or visit http://icehouseamphitheater.com/events/. May 3 – Power of the Purse at 701 Whaley Street. This event is a one of a kind live and silent auction event with unique purses, vacations, spas, restaurant packages available to bid on, with lots of tasty bites and adult beverages available, with proceeds to benefit Women in Philanthropy’s support of children and families in need in the area. For more information call (803) 733-7312 or visit https://www.uway.org/events/power-purse-3. May 4 – Relay for Life Columbia at the South Carolina State Fairgrounds. Come out and support this fundraiser for cancer and memorial event for those who have won or lost the battle against cancer and even support those currently battling cancer. For more information visit http://main.acsevents.org/site/TR/RelayForLife/RFLCY18SER?pg=entry&fr_id=88828. 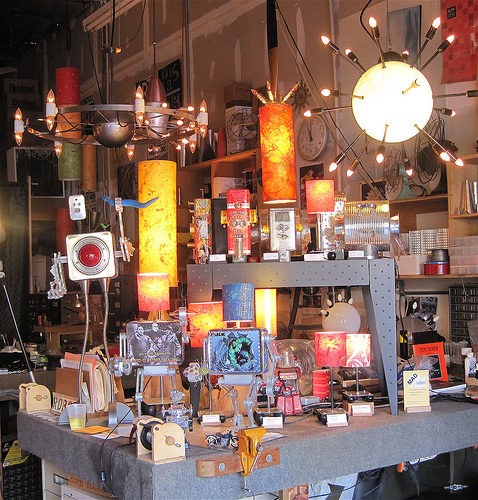 May 4 – 5 – Festival of Gardens starting at Cricket Newman Designs on Gervais Street. Enjoy some fun outdoors with a stroll through the Forest Hills neighborhood to enjoy seeing some of the most beautiful gardens and even be inspired by others creativity. For more information send an email to info@columbiagreen.org or visit http://www.columbiagreen.org/events/festival2018/index.html. May 4 – 6 – “High School Musical Jr.” at the Harbison Theatre. Presented by the Irmo Chapin Recreational Commission, be sure to come out for an enjoyable show and support our wonderfully talented young artists! For more information call (803) 407-5011 or visit https://www.harbisontheatre.org/tickets-productions/high-school-musical-jr.
May 4 – 19 – “The Restoration’s Constance” at the Trustus Theatre. The setting, between the late 1800’s and 1930’s in Lexington, South Carolina, you’ll meet the fictional character Constance Owen, “an unrealized musical prodigy born to poor cotton farmers several years after the American Civil War” and her journey toward marriage to a mixed-race man and motherhood and all that follows. For more information call (803) 254-9732 ext. 1 or visit http://trustus.org/event/the-restorations-constance/. May 5 – Rosewood Crawfish Festival on Rosewood Drive. This is one of the areas favorite events with lots of great creole food, 4 stages of entertainment with a performance by the Spin Doctors closing out the day, an artists’ village, a carnival, a 5K, and even CrossFit demonstrations and so you’ll know, proceeds from this event go back to support a variety of community initiatives, so make plans to attend! For more information visit http://rosewoodcrawfishfest.com/. May 5 – “BINACT Brings the Beats” at the Music Farm. The line-up isn’t available so keep an eye on the website for this 2nd anniversary show! For more information visit http://musicfarm.com/event/binact-brings-beats/. May 5 – August 4 – “Beauty and the Beast” at the Columbia Marionette Theatre. Bring your children to see this show about a vain Prince who learns his lesson when he is turned into a Beast for his selfish behavior and the Beauty who helps to teach him the error of his ways! For more information call (803) 252-7366 or visit https://cmtpuppet.org/shows/beauty-and-the-beast/.